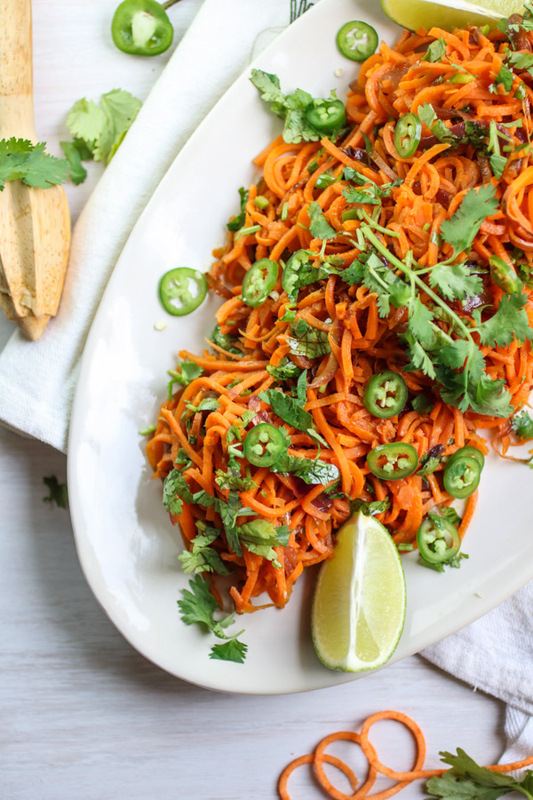 Sweet potato noodles with jalapeno lime dressing will be your new favorite summer meal! I make it my job to find a million different ways to eat sweet potatoes. I love them. 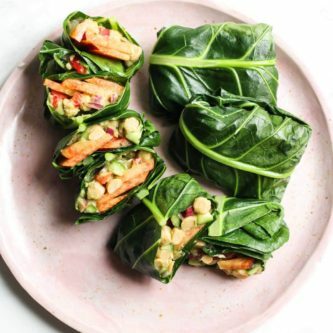 If I have sweet potatoes in my kitchen, then I always have something to eat for breakfast, lunch or dinner. 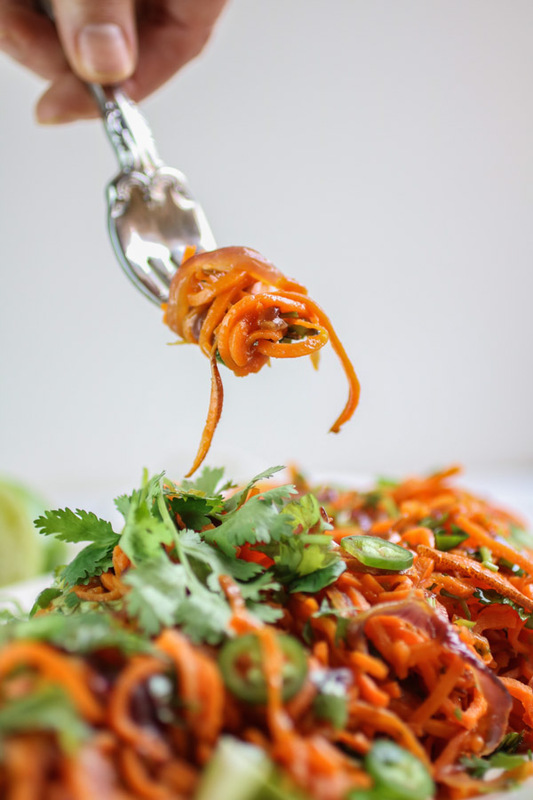 I’ve been dying to try sweet potato noodles ever since I got my pretty new spiralizer last year, but #life #gradschool totally got in the way of my kitchen play time, until now. 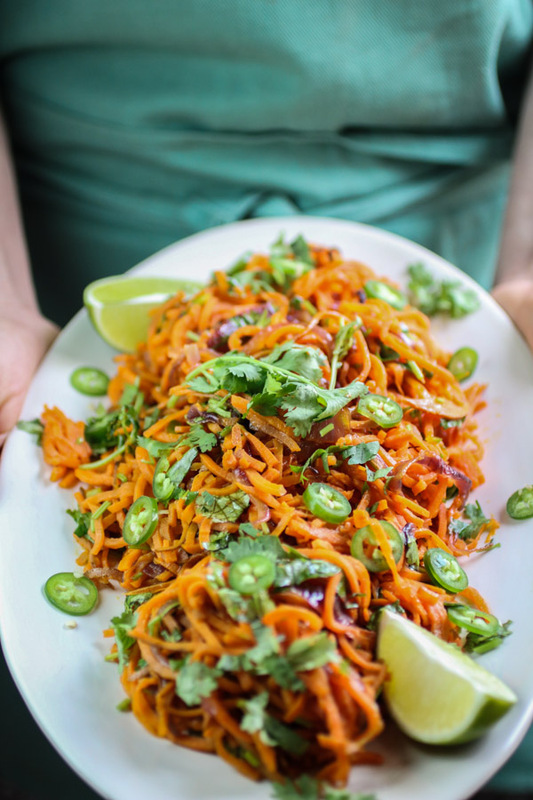 Sweet potato noodles with jalapeno lime dressing is a major winner. First of all, if you don’t have a spiralizer you should probably get one 😉 My favorite is the Paderno. It’s an inexpensive kitchen tool that I use a ton. 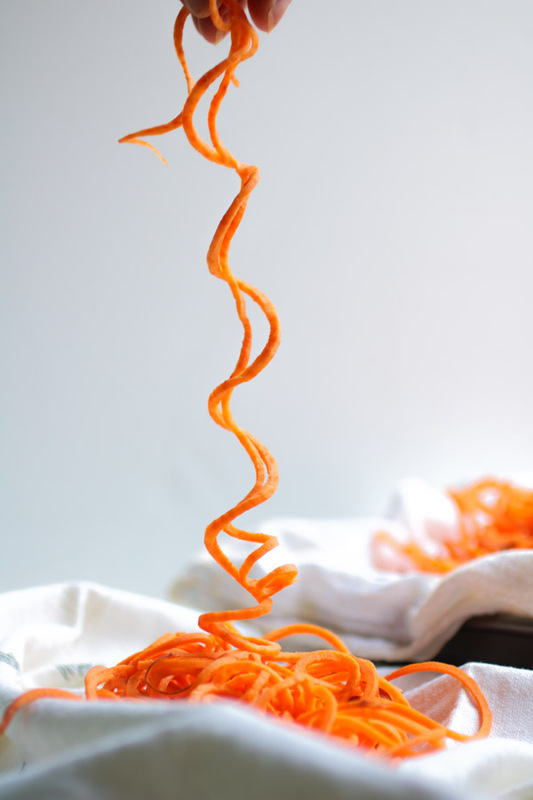 Alternatively, you can totally make any kind of veggie noodles using a regular old peeler (like my favorite peeler here), it just takes a little bit more time. The most important thing to remember when making sweet potato noodles is to not overcook them if you do you will have mashed sweet potato. 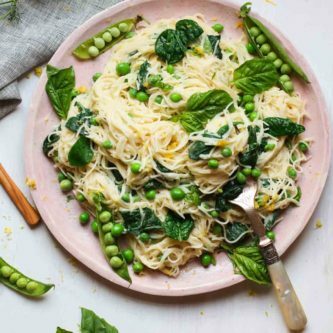 In this recipe, the noodles steam cook for 5 minutes and still have texture, a bite to them, when finished cooking. I like them almost crunchy. 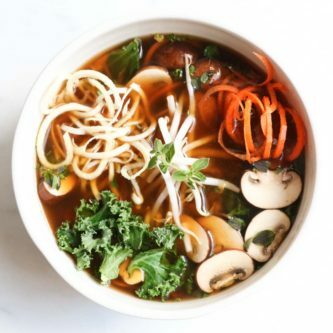 I would imagine there are a hundred different flavor variations that would work really well with sweet potato noodles maybe; mushrooms and spinach in a creamy sauce, or bok choy and shrimp in a garlic ginger sauce. I happen to love the cilantro, lime, and little kick of heat from the jalapeno. Growing up my Mom would make baked sweet potatoes often. We all loved them. She would give me and my sisters just the plain old sweet potato on our plate and it was our job to “make them up”, i.e. load them with butter, salt and pepper and mash it all together perfectly. For my brother, the oldest sibling, my mom would present his sweet potato already made up. Every time, until he was 30. Quite honestly, I bet she still does it when he comes for dinner, he just turned 44. Momma’s and their boys! It’s ok though, I learned how to play with my sweet potato and add the right fixings for my taste. 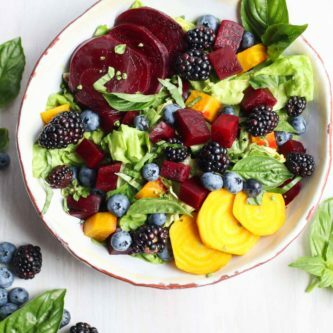 I even found out that I much prefer sweet potatos with savory flavors like lime, black pepper, and cayenne, over sweet flavors like sugar, marshmallows, and cinnamon. 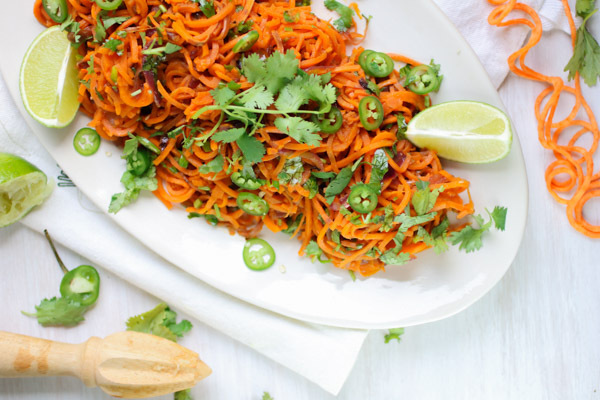 You’ll see just how good lime and sweet potato go together when you make this dish! 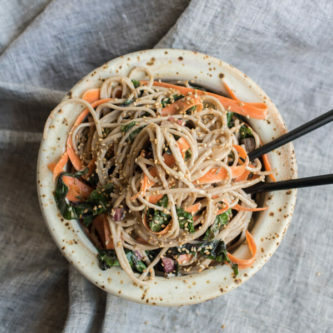 You can eat it warm or cold, and it makes amazing cold noodle leftovers! 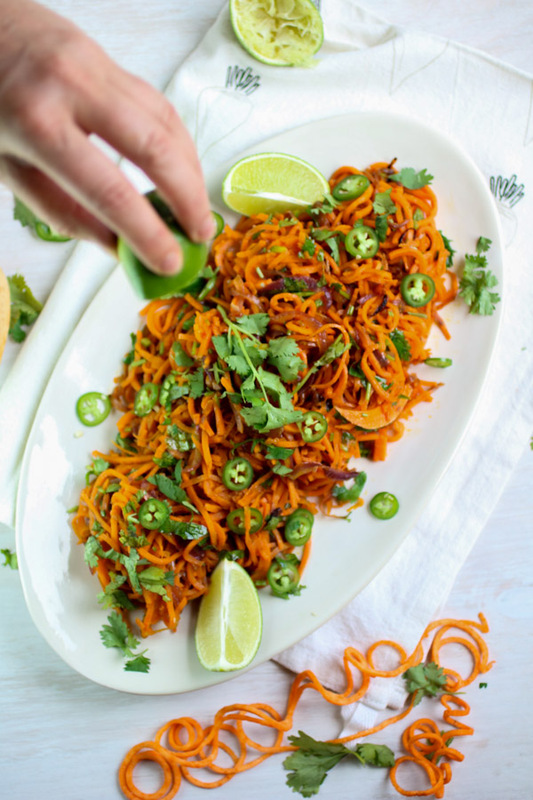 Have you made any creations with sweet potato noodles? I want to hear all about it, comment below! In a large skillet over medium heat saute red onion in olive oil for 8 minutes, stirring frequently. Season with a pinch of sea salt. While the onion is cooking prep the sweet potato noodles. Wash the sweet potatoes well and trim off the ends, keep the skins on. 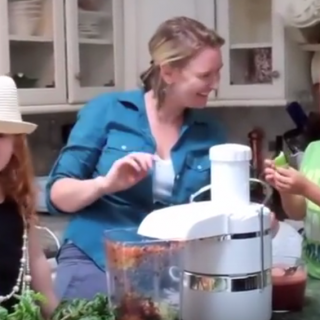 Using a spiralizer create spaghetti shaped noodles. Set aside. After the onion has cooked for 8 minutes add the sweet potato noodles to the skillet, pour in 1/4 cup of water, stir well. Cover the pan and allow to steam cook for 5 minutes, stirring once during cooking. 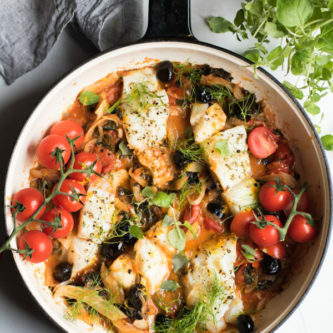 Remove from pan into a large bowl. 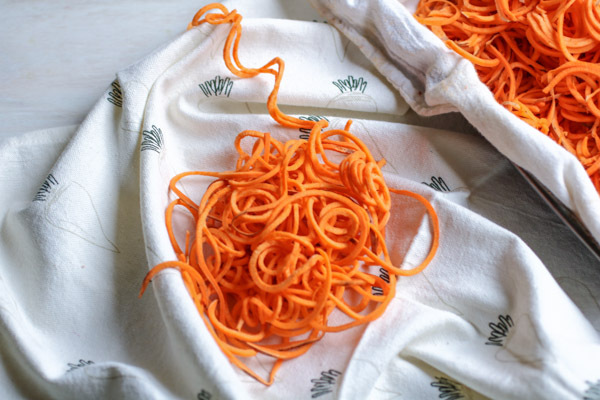 Combine all ingredients for dressing and set aside, pour over sweet potato noodles. Stir cilantro in and top with sliced jalapeno. 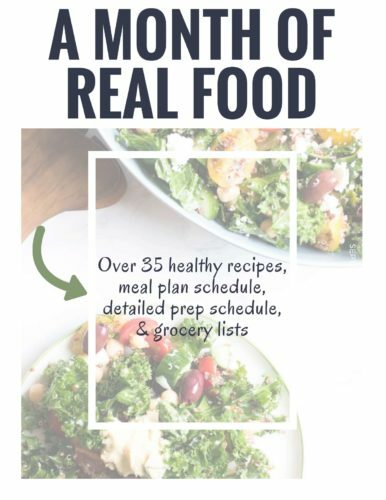 I’m so excited you are going to make this recipe! 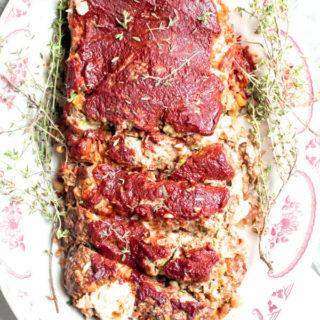 Share your photo on Instagram and tag it with #abraskitchen so I can see your masterpiece! 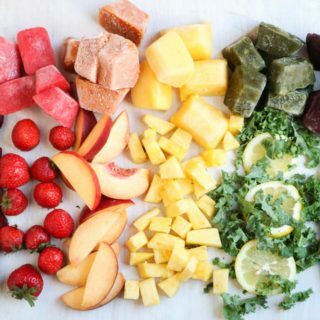 WOW this looks amazing! 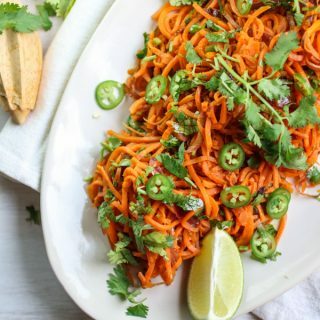 Sweet potato noodles are life <3 Even better with the jalapeño lime dressing! 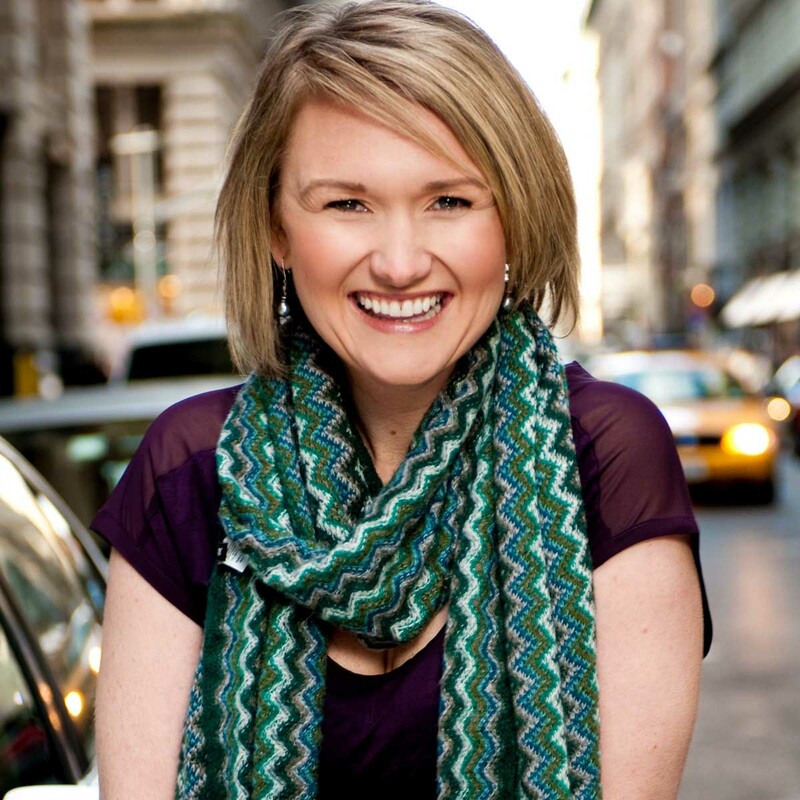 Thanks, Bethany! 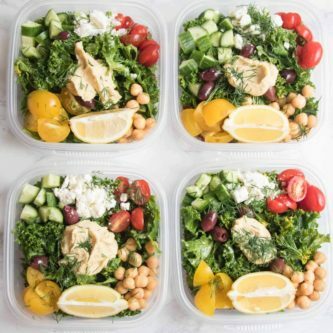 The dressing is so yummy!